It's true! While 38% of Americans suffer with high blood pressure...only 18% of native Chinese do. You may think it's genetics. But it's not, because Chinese Americans have the same rates of high blood pressure as Caucasians do. You may think it's due to diet or exercise. But that's not entirely true, either. Chinese doctors take a very different approach from doctors here in the U.S. They believe that high blood pressure is a sign of imbalance in the body. So they use a variety of different herbs to help support and protect your entire cardiovascular system. Some herbs, for example, increase blood flow. Others make your arteries more flexible. And still others help ease water retention, dilate blood vessels and protect your kidneys too. 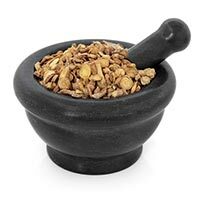 Together, these Chinese herbs work gently, yet effectively, to support and maintain blood pressure on multiple levels. They also protect other systems in your body, not just your heart. Over 5,000 years of trial-and-error showed Chinese doctors what worked, and what didn't. The result is a blood pressure solution so safe and effective that it's still the remedy of choice in many Asian countries. In China, doctors believe that one of the major causes of high blood pressure is inflammation overrun. And that makes perfect sense. 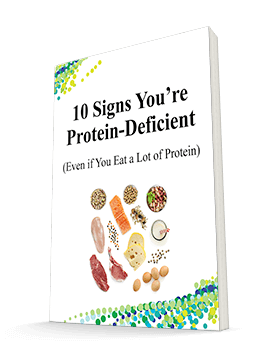 As you may know, when inflammation flares up, trouble follows. Trouble that weakens and damages your blood vessels ... and makes your blood pressure skyrocket. When this happens, Traditional Chinese Doctors turn to a simple "cooling" herb that's also chock-full of natural anti-inflammatory compounds. It's called Chinese skullcap. You'd be hard-pressed to find a Western doctor who knows much about it. 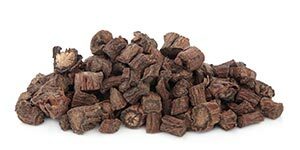 But Traditional Chinese Medicine has used this herb to treat hundreds of conditions - including high blood pressure. It turns out that Chinese skullcap is a rich source of phytonutrients called baicalein and wogonin. These compounds hunt down dangerous inflammation and free radical damage in the lining of your blood vessels and arteries. Skullcap also stimulates your arteries to relax and open... which improves blood flow. The result? Clearer arteries, better circulation and healthier blood pressure numbers! Now, another key to healthy blood pressure is eliminating a rogue enzyme that wreaks havoc with your arteries and blood vessels. It's called Angiotensin II. Left unchecked, Angiotensin II constricts your arteries, forcing blood to squeeze through. This nasty enzyme can elevate your sodium levels -- causing you to retain water -- and make your blood pressure rise. But Traditional Chinese doctors have found a way to lower Angiotensin II levels. This herb may be centuries old, but it's one of the best modern solutions I've seen to improve your blood pressure and protect your heart. In fact, when scientists started to study this ancient herb, what they found astounded them. But that's not all danshen does. Scientists also discovered that the herb is rich in a nutrient called MTB (magnesium tanshinoate B). MTB has been shown with studies to help support a healthy heart2. That's a lot of benefits from one single nutrient! And cholesterol is just part of the story. The other part of the story is fluid retention. Could This be the Solution to Swollen Legs and Ankles, Too? Do your legs or ankles swell after a long car or plane ride? Do your wrists and fingers swell to the point where it's hard to remove your rings or watch? That's a sure sign of water retention...and a big red flag for your blood pressure. Well, fluid retention can be caused by too much Angiotensin II too. When that happens, Traditional Doctors use this safe, natural solution. It’s one of the most effective herbs to improve your blood pressure. And it’s almost completely overlooked by the Medical Establishment and most doctors. It’s called tree peony. It contains 18l compounds known to support your heart, arteries, and circulation. Not only does tree peony help reduce Angiotensin II, it also helps your liver and kidneys filter out extra fluid buildup and eliminate it from your body. This helps keep your blood pressure under control. Rehmannia, the circulation energizer: Studies show that rehmannia boosts flow all over the body, particularly in the brain. It even improves circulation in tiny capillaries in your fingers and toes, keeping them warm. Chrysanthemum, the headache reducer: Chrysanthemum helps to relieve dizziness, headaches, insomnia and other related symptoms of high blood pressure. So where do you get these herbs? If you go to your health food store and buy them individually, you may see a little of their action, but not much. That's because in Chinese Medicine, several herbs are used together in a formula. Traditional doctors believe that the complementary action of different herbs work much better than when you use them alone. Plus, because the entire body is considered, a well formulated herbal formula offers additional health benefits for other parts of your body. That's why I contacted the research team at Advanced Bionutritionals. 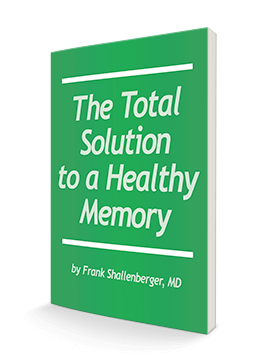 Together, we created a supplement that includes this remarkable Chinese blood pressure formula. 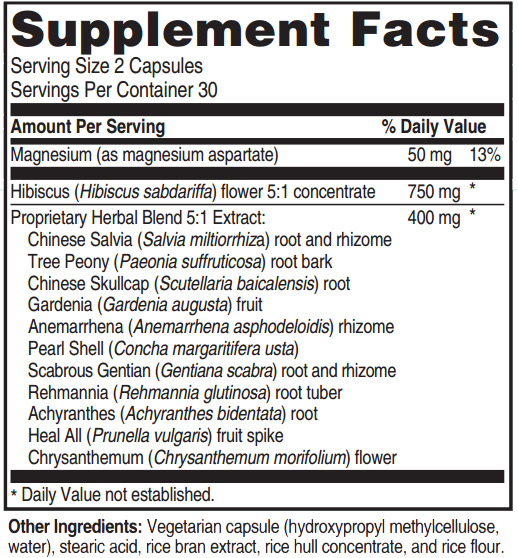 Plus, we added two modern 21st century nutrients that deliver even better blood pressure control. Plus, we added two modern 21st century nurients too. It's called Advanced Blood Pressure Formula. And it combines the best of Eastern and Western medicine to help keep your arteries pliable ... improve blood flow ... and help your blood pressure stay in the normal range! Advanced Blood Pressure Formula works so well that many of my patients and readers report other health problems improving, too -- as their rejuvenated cardiovascular system delivers new health and vitality through their bodies. It will help you experience better blood pressure numbers at your next checkup, too -- even if everything else you've tried has failed! 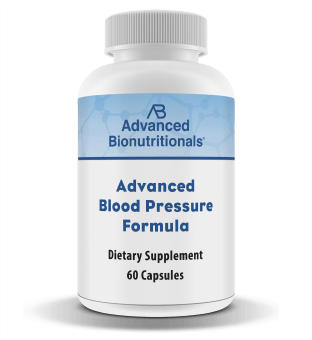 The next ingredient in Advanced Blood Pressure Formula is a nutrient that may get you off the blood pressure roller coaster once and for all. In fact, studies claim that the higher your blood pressure numbers -- the better the results! The next ingredient in Advanced Blood Pressure Formula is a nutrient that can help support healthy blood pressure levels within the normal range. "Lowered "Improved Blood Pressure in 100% of Patients"
There are dozens of different folk remedies for high blood pressure but not many of them have withstood clinical trials. But one that has is hibiscus. That's right, hibiscus! 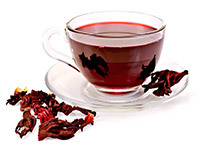 As you know, hibiscus is a tropical flower that's also a popular herbal tea. In one study, scientists gave volunteers with blood pressure issues different herbal teas. They gave one group hibiscus tea, and the other group flavored water. Volunteers drank three cups of the tea every day for six weeks. The scientists measured blood pressure levels at the beginning of the study, and at weekly intervals throughout the study period. Without a doubt, this tropical flower is one of the best ways to help you experience the healthy, stable blood pressure numbers you want. within the normal range. Advanced Blood Pressure Formula contains 750 mg of concentrated, highly-purified Hibiscus -- the dosage shown in research to deliver the greatest benefits. If Advanced Blood Pressure Formula contained just hibiscus and our Chinese herbal blend, it would still be head-and-shoulders above most of the blood pressure remedies out there. But I knew it wouldn't be complete without this final nutrient. It's a common mineral that's responsible for a variety of bodily functions, including your heart and circulation. Yet almost 80% of us are deficient in it! This mineral is magnesium. Magnesium helps maintain a healthy heart rhythm. It relaxes the muscles in your arteries so blood flows more smoothly. Magnesium also helps balance potassium, sodium and calcium -- which all affect your blood pressure. There are many studies that show the more magnesium you have, the lower your blood pressure will be. Plus, it works very well with Traditional Chinese Herbs -- so it made a lot of sense to add magnesium to Advanced Blood Pressure Formula. There are many studies that show magnesium helps maintain healthy blood pressure. Plus, it works very well with Traditional Chinese Herbs -- so it made a lot of sense to add magnesium to Advanced Blood Pressure Formula. Advanced Blood Pressure Formula works on multiple levels to get your blood pressure under control -- even if you've been struggling with it for years. It keeps your blood vessels pliable and elastic. It blocks the production of Angiotensin II, the rogue enzyme that causes blood vessels to constrict. Plus, Advanced Blood Pressure Formula addresses the root causes of your high blood pressure while it gives you immediate support. Advanced Blood Pressure Formula doesn't just give you great readings. It gives you peace of mind. Imagine doing your favorite activities without having to ask yourself, "will this raise my blood pressure?" And iImagine getting off the blood pressure roller coaster once and for all. That's what Advanced Blood Pressure Formula can do for you ... and why I urge you to give it a try. You Can Get Worry-Free Blood Pressure Support at a Very Affordable Price! A One-Month Advanced Blood Pressure Formula Starter Pack is just $29.95 plus $6.95 shipping. Try a 3-month supply of Advanced Blood Pressure Formula and pay just $26.65 a bottle. That's $79.95 plus $6.95 shipping - a $9.90 savings off the regular price. If you want the best deal and the lowest price per bottle then go with our Six-Month Pack. Order a six-month supply of Advanced Blood Pressure Formula and you pay only $24.95 a bottle. Plus, shipping is free! You pay only $149.70 and save a total of $36.95! That's right -- as with every Advanced Bionutritionals product you're completely protected by our "down-to-the-last-pill" guarantee. If you don't agree that Advanced Blood Pressure Formula has given you better blood pressure numbers ... or if you're not 100% satisfied, simply send back the bottle to us within 90 days. Even if it's completely empty. We'll refund every penny you paid -- including shipping and handling. No Hassles. No questions asked! You only pay return shipping. Order Advanced Blood Pressure Formula below today! Or, just call us toll-free at 1-800-791-3395 to have Advanced Blood Pressure Formula sent right to your door. Our health consultants are available to help you 24 hours a day, seven days a week. 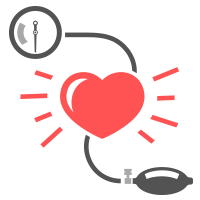 Studies show that even a small improvement in your blood pressure can deliver huge benefits. Just two capsules a day of Advanced Blood Pressure Formula is all you need to experience better blood pressure "numbers" -- and protect your heart, circulation and brain, too. It's easy to order Advanced Blood Pressure Formula. Simply order below using our secure website. Or call us toll-free at 1-800-791-3395 (24 hours a day, 7 days a week). Once we receive your order, we'll rush it right out to you. Listen, if you've been concerned about your blood pressure ... if you want a healthier heart... if you want better circulation and a sharper mind ... there's no sense in waiting. Why not get started right now? Order below or call toll-free 1-800-791-3395 right away. P.S. Remember, with our 6-Month Value Pack, you can get Advanced Blood Pressure Formula for as little as $24.95 a bottle, plus, shipping is FREE. And you are fully protected by our Down-to-the-Last-Capsule Guarantee. Order Now or call toll-free 1-800-791-3395 today. ACT NOW! Order Your Advanced Blood Pressure Formula Today!